I've been watching the second season of Leah Remini: Scientology and the Aftermath on A&E. I'm a few episodes behind, but I'm slowly catching up when I can. For those unfamiliar with the show, it is a documentary series exposing the Church of Scientology. They don't seem to hold back any criticism either. 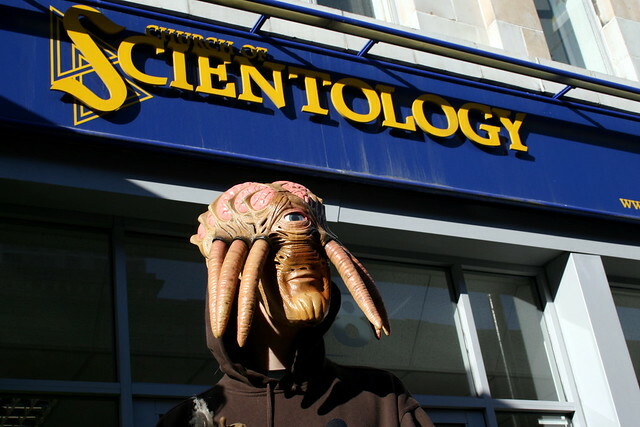 They use words like "cult," "scam," and "abusive" to describe Scientology. They interview people who spent most of their lives in the church before reaching their breaking point. They reveal all sorts of secret doctrines that people who haven't paid hundreds of thousands of dollars to the church aren't supposed to know about. It is a fascinating show with some seriously disturbing content. In a previous post, I wondered whether we might ever see a similar series focusing on Mormons. But after watching an episode in which several ex-Scientologists described how they had been sexually abused as children and how the church blamed them for it when they sought support from the adults around them, I found myself wondering about something else. Will we ever see a similar series focusing on the Catholic Church? Unfortunately, I doubt it. At least, I can't imagine we'll ever see such a thing in the United States. It still amazes me that a documentary television show offering such sharp criticism about any religion is taking place here. Yes, Scientology is widely viewed as a cult and disparaged by religious believers and atheists alike. That obviously makes it easier. Many (but far fewer) people view the Mormon Church as a cult, and I know many evangelical Christians with nothing positive to say about it; however, I think that public opinion about Mormons is far less negative than that of Scientologists. As for the Catholic Church, I suppose few would argue that Catholicism was a cult; it seems to be more of a prerequisite for Supreme Court justices. And while there are certainly pockets of criticism aimed at Catholics from atheists, some liberal Protestants, and some evangelical Christians, it is very difficult to imagine such a show being permitted. Would any television network risk the level of Catholic outrage that would likely produce? I am glad that Remini is doing this show, and I hope it ends up paving the way for similar efforts in the future. I think it would be great to see a similar show aimed at the Mormon Church. Just think of all we'd learn about the magic underwear! But with how the Catholic Church has been handling clergy abuse over the years, I think they'd make an even better target. And yes, I have heard that Leah Remini left Scientology only to replace it with Catholicism. I hope this is merely another step for her on the way to leaving all of this nonsense behind. What do you think? After the series on Scientology concludes, what should be the subject of the next show?